The Men’s Bible Study meets once a month over dinner. Typically we meet on a Friday at the Riverside Cafe in South Whitley. Anyone is welcome to join us, whether you attend Cornerstone Grace regularly or not. See the Calendar for our next meeting. 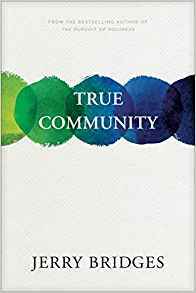 We are currently reading True Community by Jerry Bridges. Fellowship among believers is more than just talking over coffee after church service. Biblical fellowship in New Testament times―or koinonia―had rich and varied meanings, including covenant relationship, partnership in the gospel, communion with God and others, and the sharing of earthly possessions. In True Community, bestselling author Jerry Bridges guides you through koinonia and its implications for today’s church. With discussion questions at the end of each chapter, this book will help you dig deeper into what Christian community in the twenty-first century should look like. You will come away with a new appreciation for fellowship, the church, and what God intended the body of Christ to be. 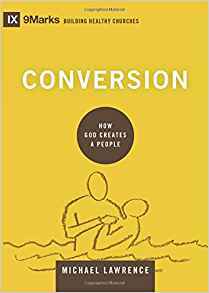 We just finished reading through the book Conversion: How God Creates A People by Michael Lawrence. In the book Lawrence is challenging our view of what constitutes a saving faith in Christ and how we communicate that to those both in and outside of the church.